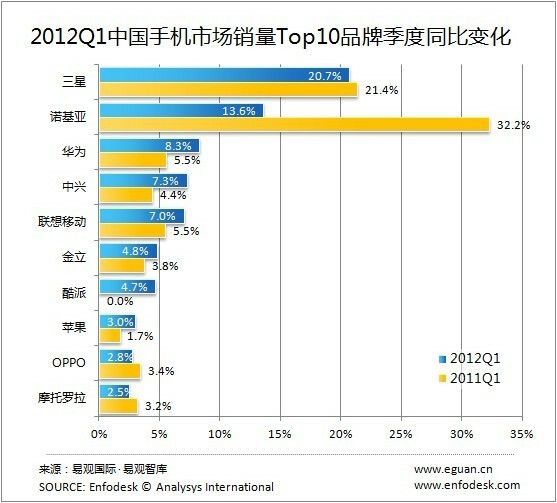 Basically, domestic company except OPPO increase their sales share compared to previous year, and foreign company decrease their sales share. Especially, Nokia's range of reduction is too much(32.2% -> 13.6%).Nokia was the top share mobile maker in China till 2010, but after Android and iPhone appeared, their market share continued decreasing. They already released some Windows phone devices in China, but it looks like that their environment in this market was not changed at all. Does they Nokia have the next or another move? We have to keep attention to their actions as ever.